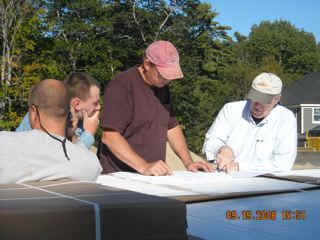 Building permit August 8, 2008. 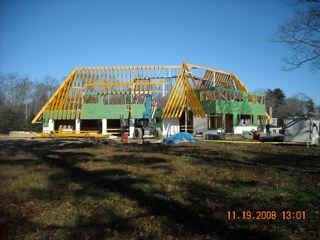 Construction completion November 12, 2009. 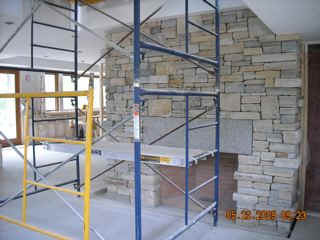 Living Cove fireplace looking toward the dining and kitchen space. 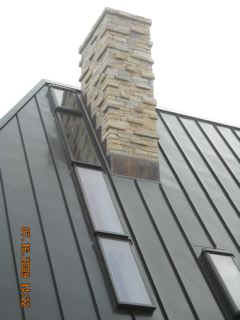 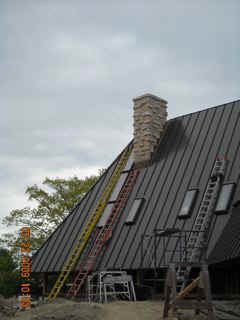 Stone chimney is complete. 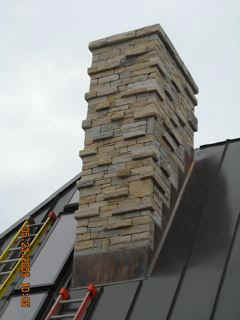 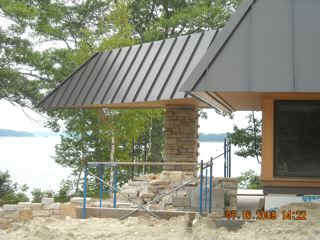 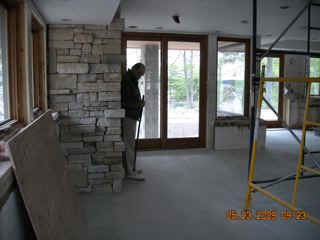 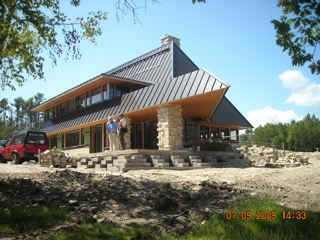 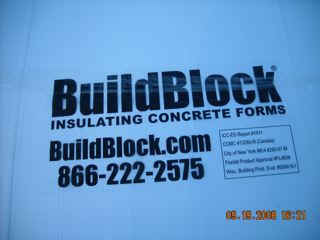 See Rick Leech Masonry on the Sub Contractor page. 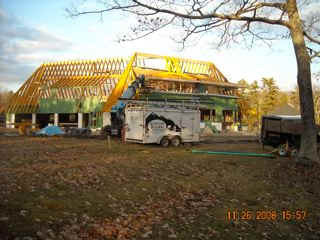 1/8/2009 From the drive and the balcony steel set on CMU columns. 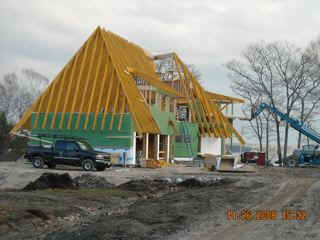 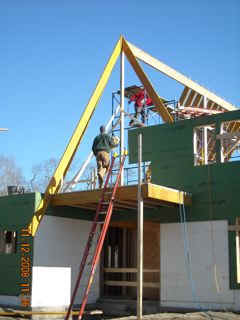 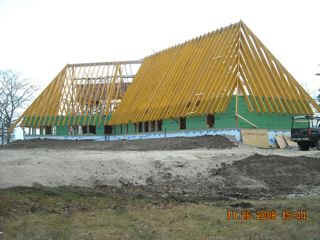 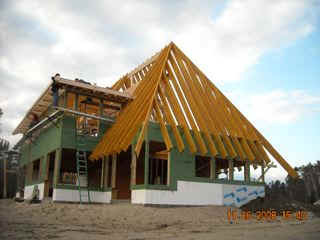 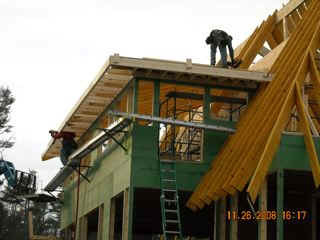 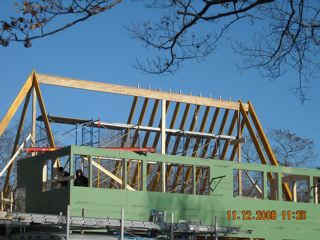 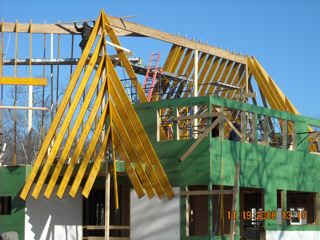 Starting roof sheathing 11/26/2008 over bedrooms. 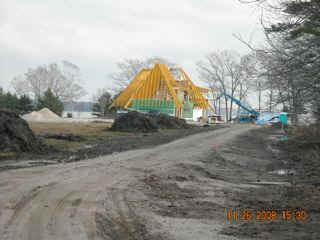 From the entry drive far and near. 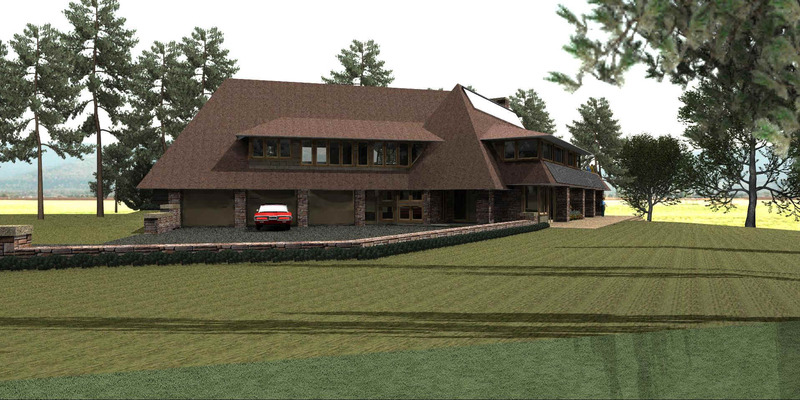 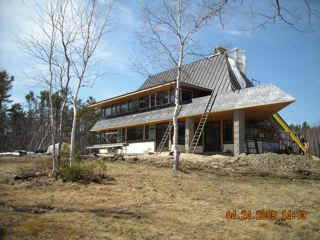 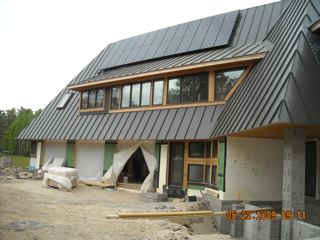 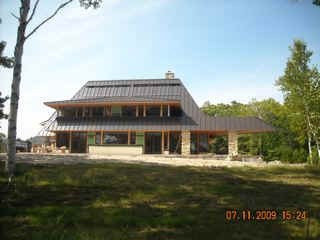 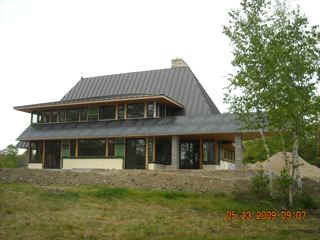 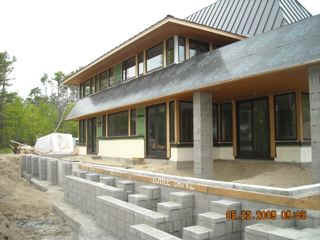 From the north, notice earth bermed up to window sills on this side. 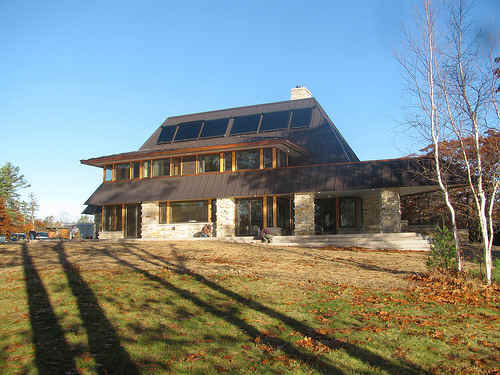 This house is designed to be sheltered on the North and open to the sun on the South. 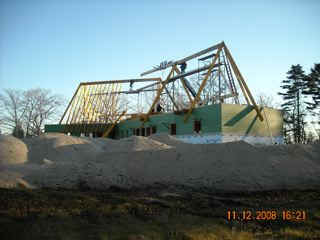 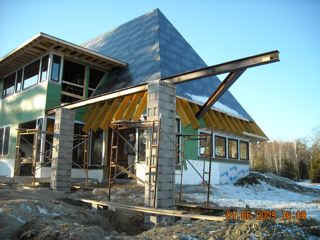 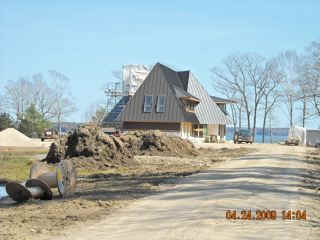 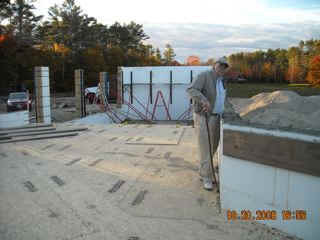 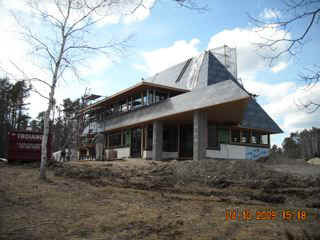 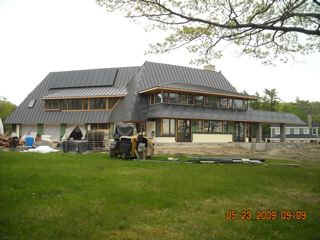 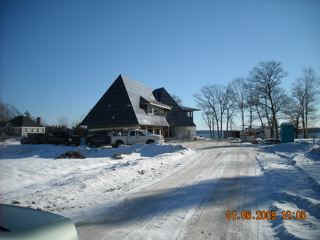 10/20/2008 ICF filled with concrete and First floor deck is in place. 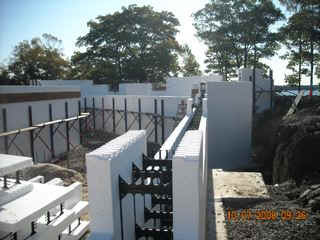 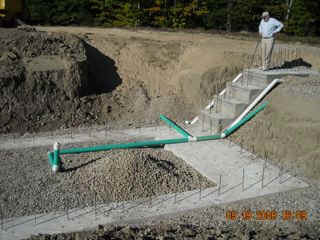 10/08/2008 ICF set up ready for concrete. 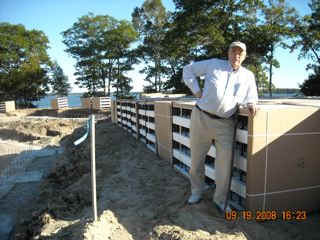 Bob Eger and James Schildroth review ICF layout.